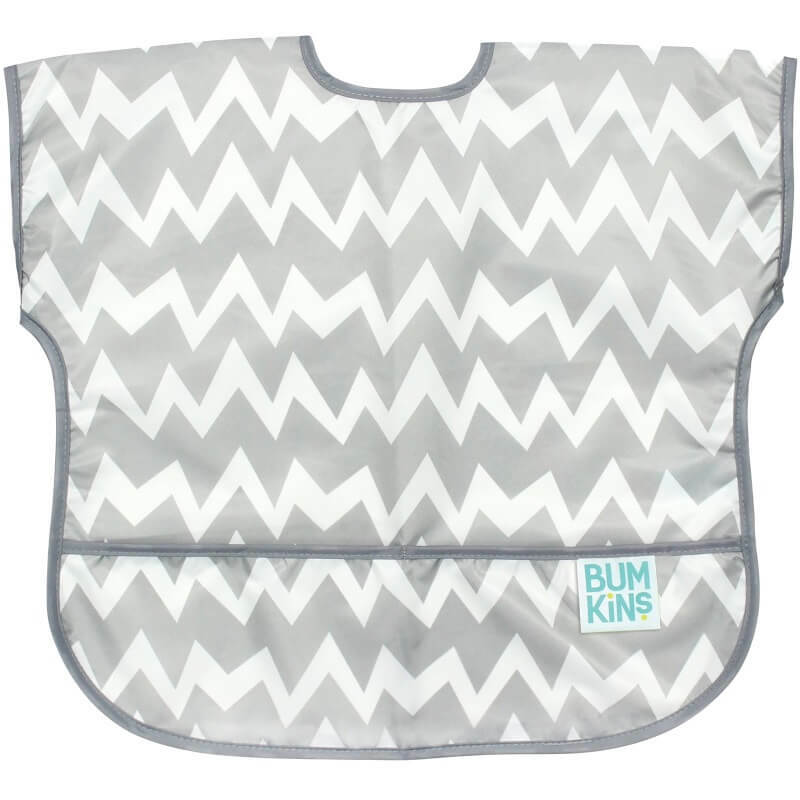 The Bumkins Short Sleeve Junior Bib saves you from the mess! With a handy crumb catcher / catch-all pocket for containing spills. Made from Bumkins lightweight, waterproof, easy-wipe, stain and odor resistant fabric. Single ply construction means no worrying about icky stuff growing between layers of fabric. Without a cotton layer, stains and smells don't stick. 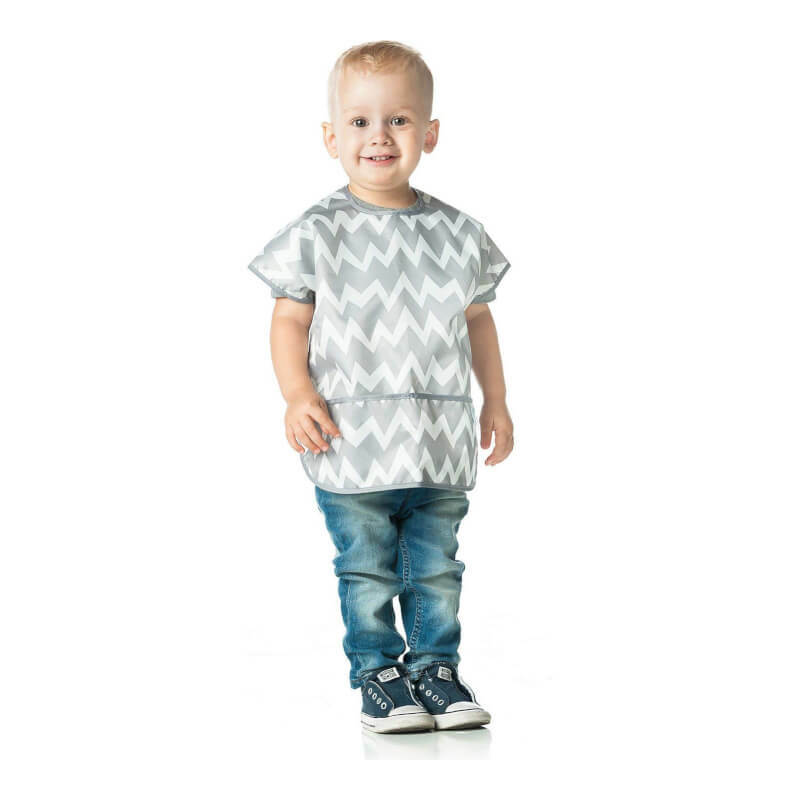 Wipeable and machine washable for easy cleaning so you can use it over and over again!